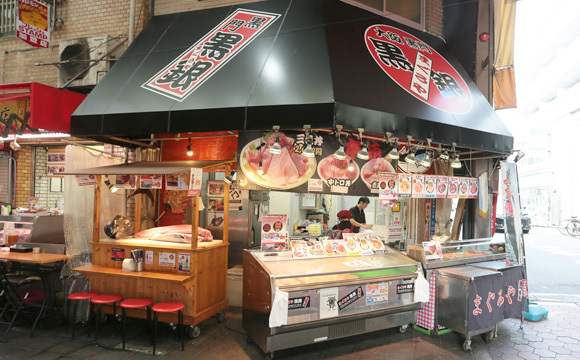 Maguroya Kurogin was the first shop in the Kansai region to carry Pacific bluefin tuna (maguro) from Oma and to do so at the kind of reasonable prices that the Osaka area is famous for. It is unusual to find tuna from Oma in the Kansai region, but we were the first and we complement it with tuna from various other areas as well. 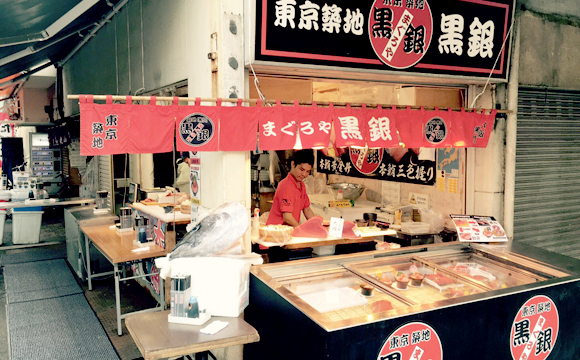 We prepare the raw fish on site and turn it into fresh sashimi, sushi, and bowls served with rice. We invite you to see the preparation with your own eyes so that you can benefit from a visual as well as a culinary experience. We sincerely hope that you will take home one of our Maguroya Kurogin delicacies to enjoy at your dinner table. Oma tuna and other premium delicacies on offer. We are proud to showcase the creation of truly innovative dishes based around tuna as the main ingredient. Experience the different ways to eat each type of ingredient in order to bring out its unique taste in the best way. Extremely select ingredients, starting with the Oma tuna that our chefs love, are continually being crafted into new and different dishes.